Thanksgiving has us feeling, well, thankful—and this year, our team at CFO Strategic Partners wants to take a moment to express our gratitude for all our clients, especially our non-profit clients that truly know the meaning of giving back. To show our appreciation, we would like to highlight a few of them and the incredible work they do for our communities. The mission of Ronald McDonald House Charities (RMHC) of Central Florida and RMHC of Tampa Bay is to find, create and support programs that directly improve the health and well-being of children and families. The Ronald McDonald House program helps families stay close to their ill child while receiving medical treatment at local hospitals: increasing the caregivers’ ability to spend more time with their child, interact with their clinical care team, and participate in medical care decisions. 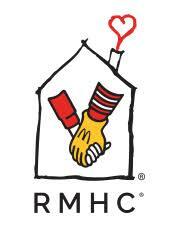 RMHC of Central Florida and RMHCCF of Tampa Bay will support more than 4,600 local children and families this year. The Primrose Center is an organization that was established by concerned parents and community leaders to provide key services to people with developmental disabilities in the community. They are committed to ensuring their services facilitate each person’s personal goals through customized learning activities. SPCA Tampa Bay is a non-profit, animal welfare agency that runs an open-admission animal shelter, pet training facility and public veterinary center. Their shelter cares for more than 8,000 animals annually that have been surrendered by owners, along with injured wildlife. They compassionately care for all animals brought to their facility regardless of age, breed or medical condition. The Kissimmee/Osceola County Chamber of Commerce represents approximately 900 companies, organizations and governments whocollectively earned the distinction of “2017 Chamber of the Year” from the Florida Association of Chamber Professionals. The chamber advocates on behalf of their members for a business climate that will enable them to succeed at growing their bottom line. As “Champions for Business and Community”, their mission is to enhance the quality of life in their community so that families, companies and organizations will want to relocate to the area. Over our 20 years, we’ve helped hundreds of non-profits get the most out of their financials, so they can give the maximum amount back to the community. We are proud to work with such outstanding, hard-working clients.